Our small but heavy oak Chalvington range bespoke refectory table and Berwick range semi-bespoke oak side chairs, with stuff-over seats and upholstered back panels. Shown here in the dining area of our client's apartment, in this historic manor house. 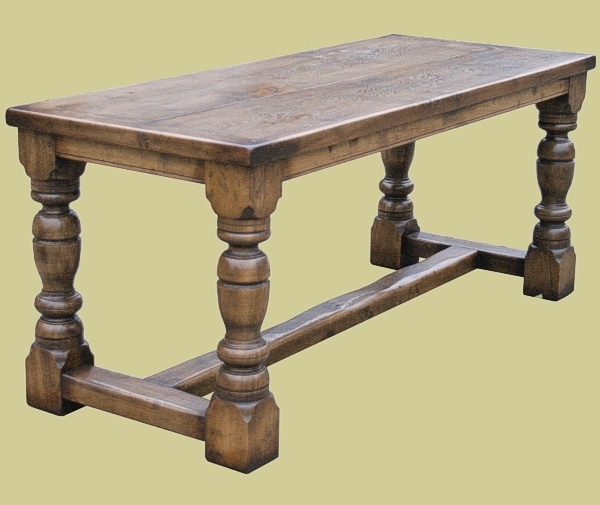 You will notice that the table has a greater overhang at each end of the top, than our product page example. This is to facilitate comfortable seating at the ends, if necessary (not required by our other client). Additionally, you may notice that the chair panels are also upholstered on the rear of the backs. These personalised touches demonstrate the beauty of our custom made service. 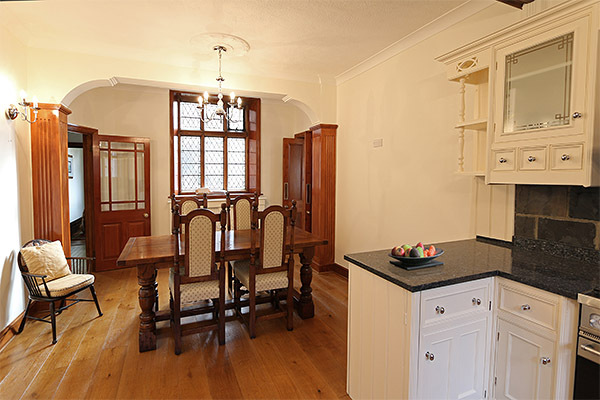 Also see: Oak refectory table & side chairs in kitchen of manor house.